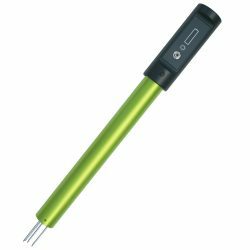 Want to measure soil moisture, salinity and temperature at a targeted depth? Or take spot readings with a portable unit to map your paddock or green? 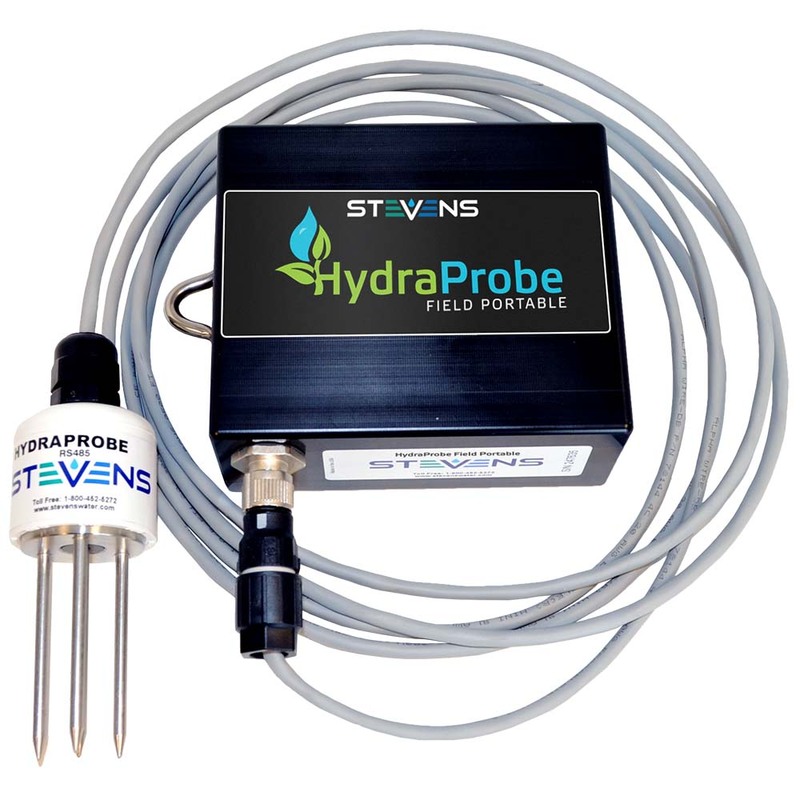 Then set it and forget it with the HydraProbe, the rugged soil sensor with patented technology that provides continual, consistent accuracy measuring the three most significant soil parameters simultaneously: moisture, salinity and temperature. For added confidence the HydraProbe comes with a 5 year warranty. 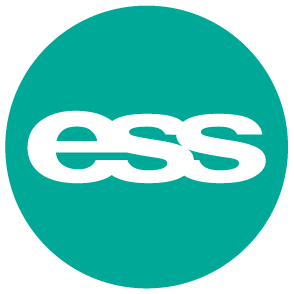 As the most scientifically researched soil sensor available, it has been depended on by the USDA, NOAA, farmers, leading irrigation companies, and many universities for over 20 years. 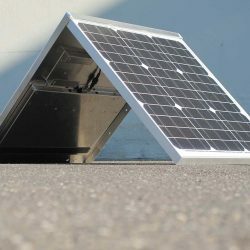 It’s been engineered to be exceptionally rugged and will provide data you can trust year after year. 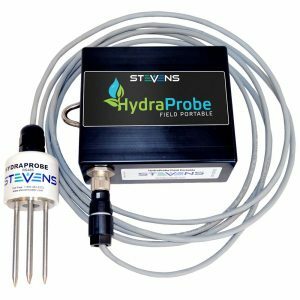 HydraProbe uses unique “Coaxial Impedance Dielectric Reflectometry” to provide consistent long-term accuracy of moisture, bulk EC and temperature in any soil type. This also provides low inter-sensor variability, so every sensor measures the same without the need to calibrate. This method has passed the most rigorous scientific peer review from dozens of journals such as the Vadose Zone Journal, American Geophysical Union, and The Journal of Soil Science Society of America. 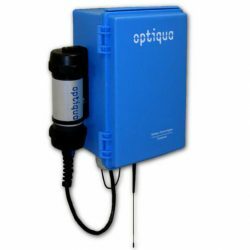 The sensor outputs your selection of RS-485 or SDI-12 digital readings to a datalogger or handheld unit (The HydraProbe Field Portable). 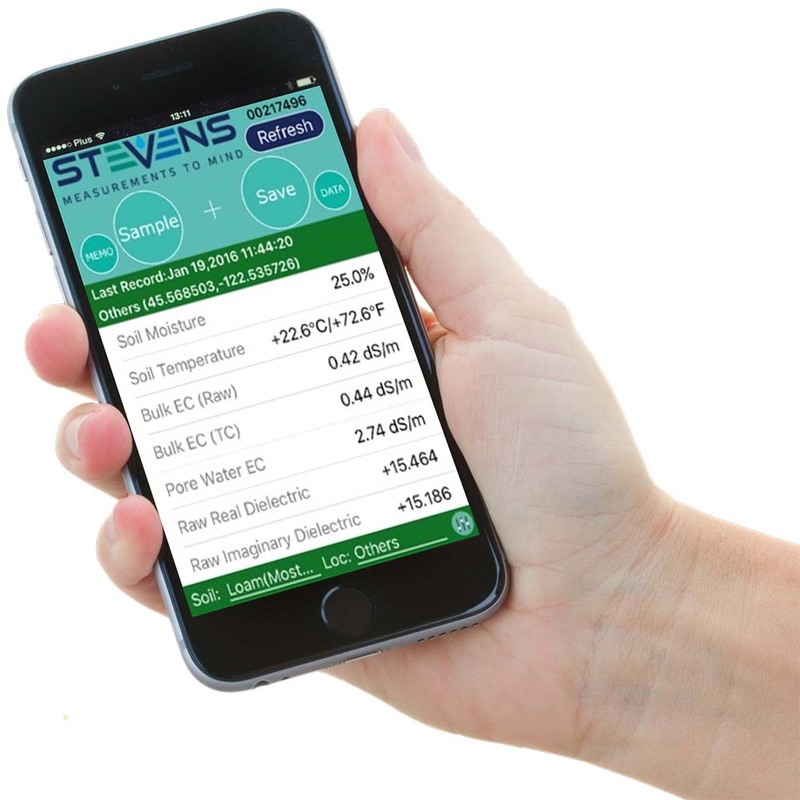 Take soil measurements anywhere for those applications not requiring a permanent soil monitoring system. Your Apple or Android device communicates wirelessly with the HydraProbe using an ad-hoc wi-fi radio link. 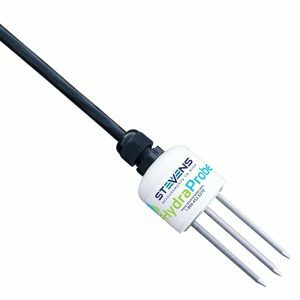 Simply insert the probe into the soil, and tap on the “Sample” button in the HydroMon or POGOTurfPro app. 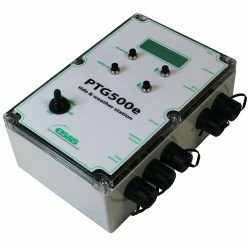 The GPS location, date and time of each measurement is recorded along with the soil measurement data. All data can be saved and emailed as a .CSV file for analysis in Excel.